•Alliance: Former worker of Eggman. •Family: none that he knows of. Living with Sasha's family for now. •Friends: Sasha, Layla and Merai. •Personality: quiet, shy, can be sweet, very bad temper and kind of distant. 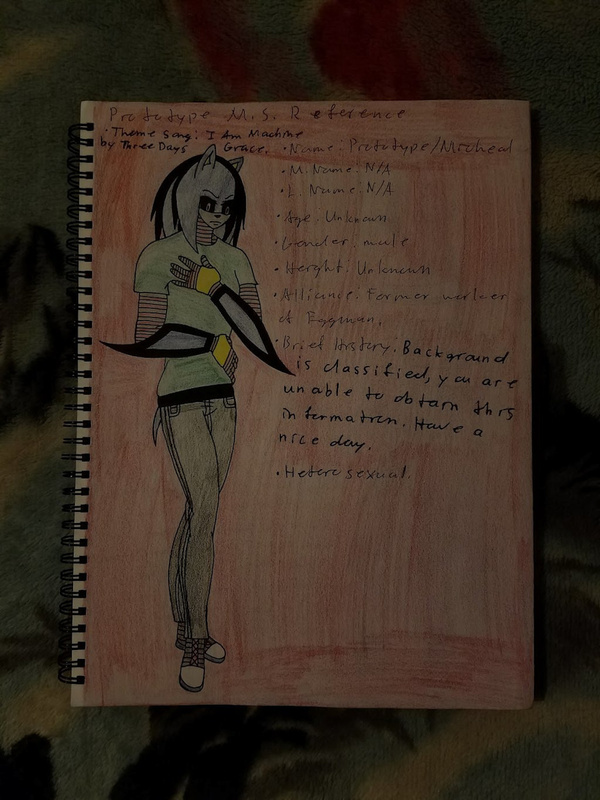 •Likes: reading, sculpting, walking at night, hanging out with Sasha and Layla and teaching Merai sign language. •Hates: crowds, being half robotic and not having all his memories. •Theme Song: I Am Machine by Three Days Grace.